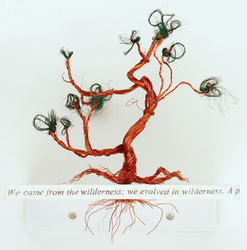 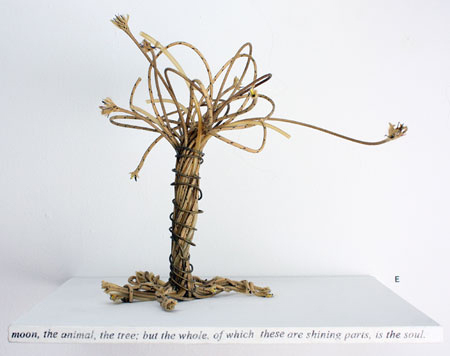 Assemblage, sculpture, and installation artist Maddy LeMel has been called a “scavenger poet.” She is known for mixed-media constructions incorporating found objects that are reclaimed and given second lives in pieces created with wire, screen, thread, paper, metal fragments, and a deft articulation of light and space. 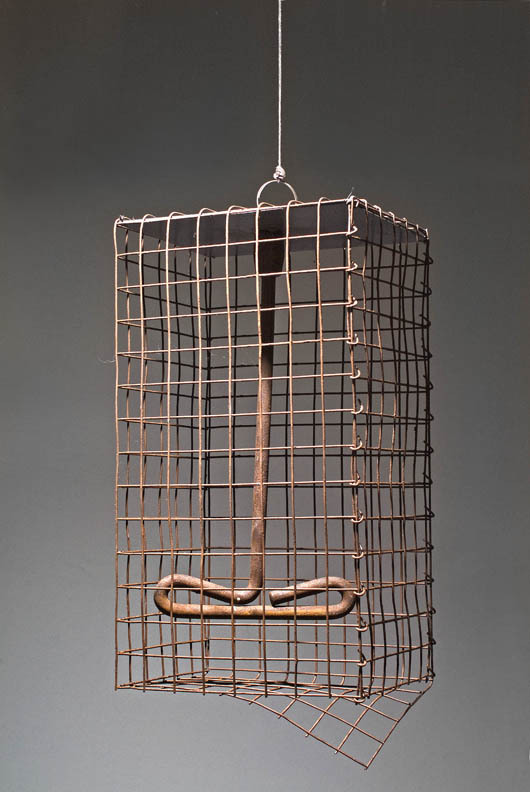 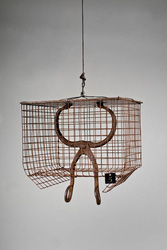 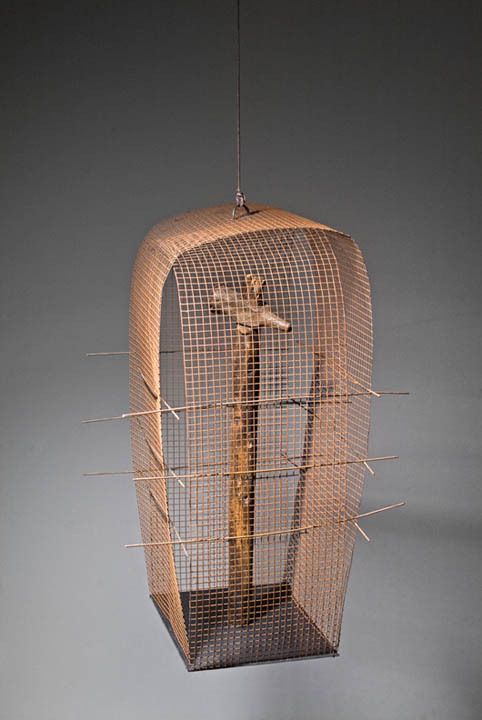 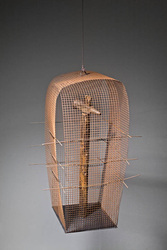 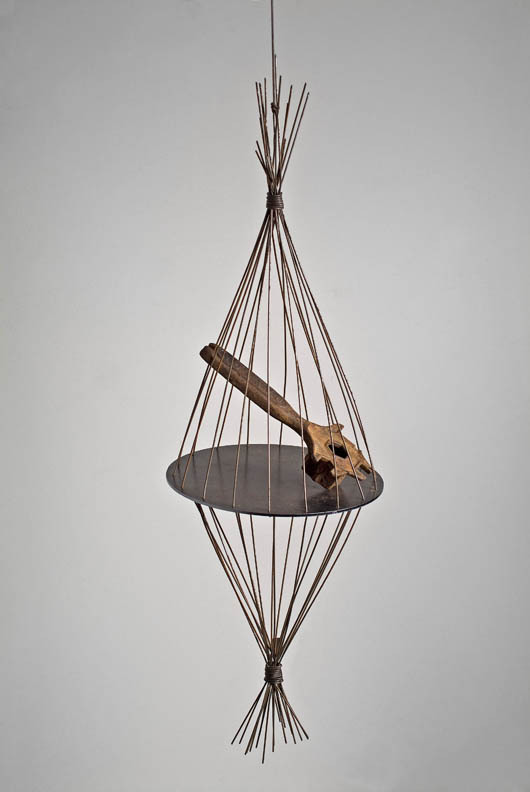 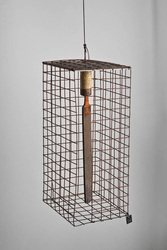 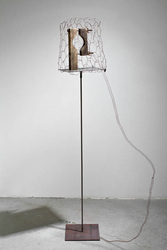 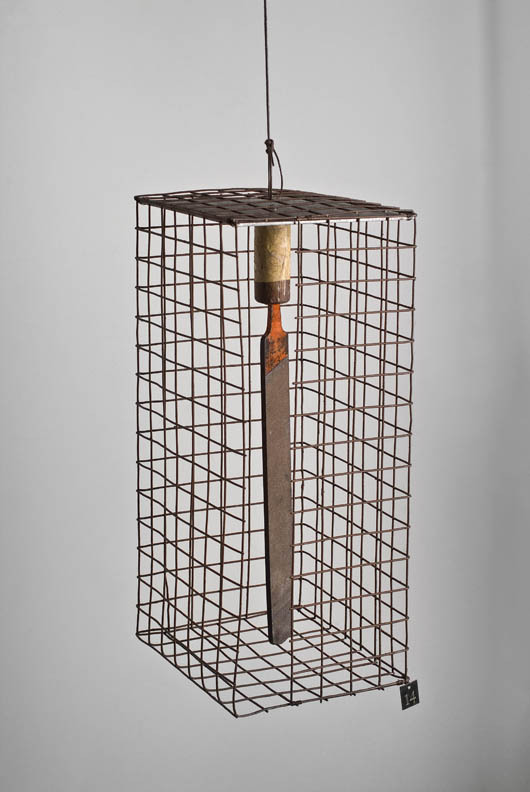 LeMel's new pieces for Suspended States are wire and metal cages containing vintage tools from the artist's extensive collection. 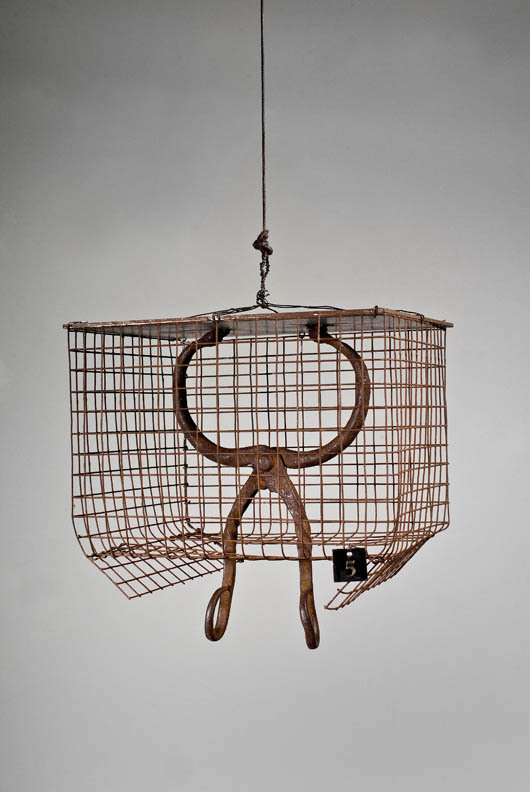 The tools exist almost as anthropomorphized characters, contemplating escape through the openings in each cage. 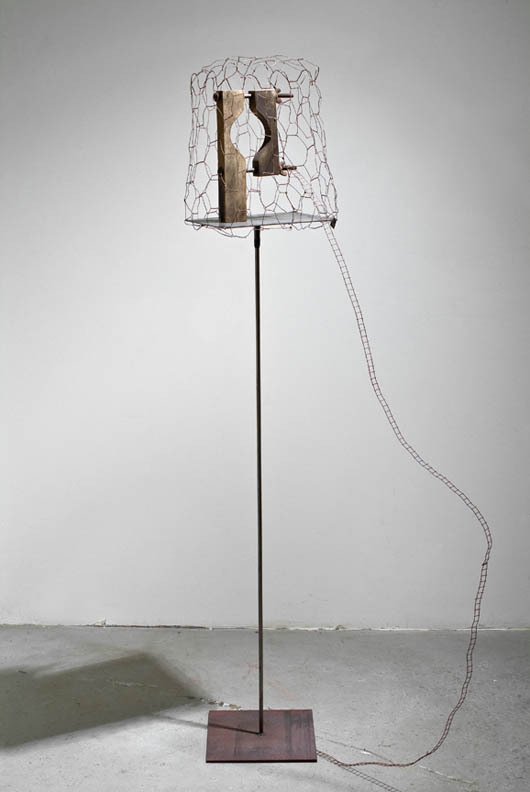 Connected by winding ladders, the works form a cohesive installation. 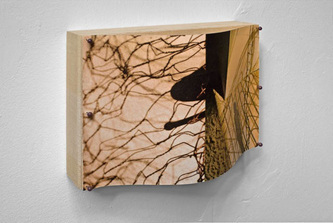 Also featured are smaller, wall-mounted pieces, which LeMel calls "shadow works," that evoke memories of past entrapment. 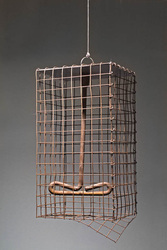 LeMel earned her Bachelor of Fine Arts degree from the University of Southern California, and also studied at the Art Institute of Chicago. Based in Santa Monica, she has been exhibiting since 1992.